A beloved member of the Elmwood Park Zoo in Norristown passed away on Tuesday. 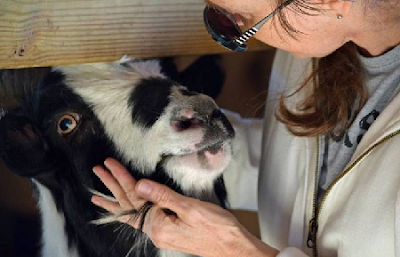 Ollie, a Nigerian Dwarf goat, was 15 years of age. Given that the lifespan of his species is typically between 12 and 15, Ollie lived a long and happy life. Zoo officials said that Ollie passed away overnight from "complications that come with old age." Ollie has been a resident at the zoo since Aug. 4, 2003, when he arrived at the age of six months with his brother Duncan. According to the zoo, Ollie was beloved by both staff and guests for his kind and loving nature.